Scalability with hardware advances: WatchGuard’s use of industry-standard hardware ensures that its product performance scales with processor advances from Intel and Freescale. Best-of-breed technology: WatchGuard’s modular architecture is based on its Fireware operating system, which runs full versions of the industry’s leading third-party scanning engines. 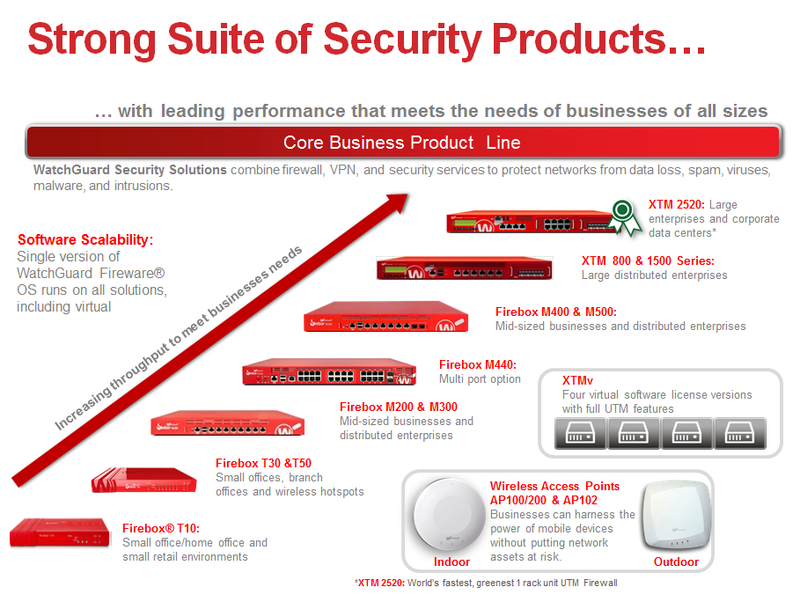 This offers best-of-breed security at every price point, and with maximum flexibility to meet the changing threat landscape. Segment-leading manage ability: WatchGuard’s policy-based management console provides a single interface to easily configure and control all security engines, with the flexibility to manage network security from anywhere (such as headquarters to branch locations), without having to install management software. Award-winning visibility: The award-winning WatchGuard Dimension™ visibility tool distills oceans of security data into key trends and critical events to quickly and effectively identify potential threats and productivity issues. Operating from any public or private cloud, Dimension requires no installation and runs from any browser. In addition to its Seattle headquarters, WatchGuard has offices throughout North America, Latin America, Europe, and Asia Pacific. WatchGuard’s full line of network security appliances are backed by more than 10,000 dedicated reseller partners—over 2,300 with advanced certification — in 120 countries.